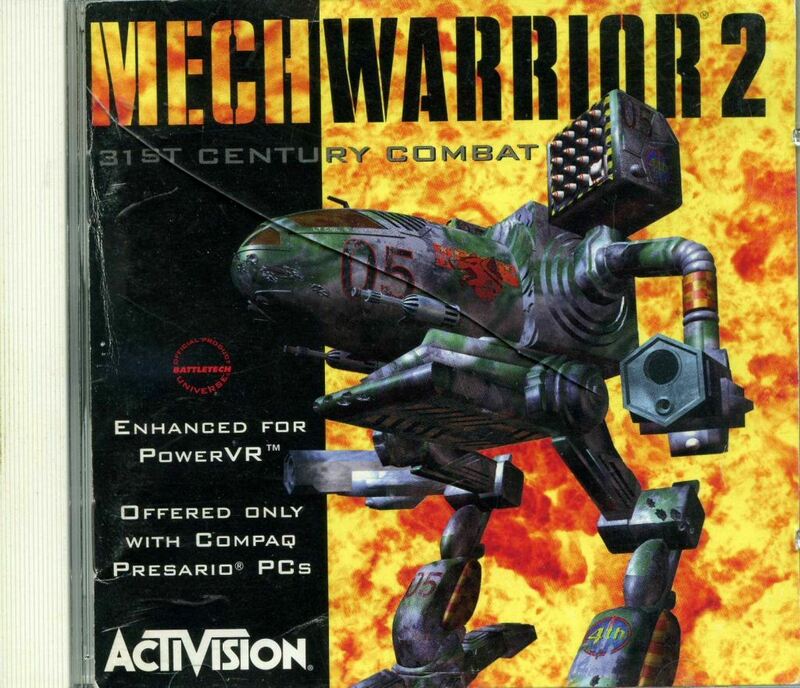 Mech Warrior 2 (MW2), released in 1995, was a big hit game for Activision and probably my all-time favorite. What also stands out for MW2 is that the team defied a cancellation and worked nonstop to save the game while their boss was on travel. What makes MW2 a unique memory for me, is that I finished it hours before my our first child was born five weeks early. When my wife had early contractions, the doctor told her that if she had ten repeats within the next hour, we should to dash off to the hospital. She told me this, while I was playing the last level of WM2. So I set the goal of completing the game within an hour. By the time she counted to ten contractions, I had finished . My son was born a bit premature, but healthy, a few hours later. To her credit, my wife does not remind me of this obsessed and selfish behavior. I blame the game. “MW2 went through two rebirths: one on the engineering side, and one on the design side. The original team had implemented something with promise, but it barely ran (not enough memory to hold more than two mechs) and it lacked narrative (just mechs on a flat surface shooting lamely at each other). After a couple of years of effort, with a major deadline looming, management had no option but to retrench and down-scope the project. The existing team leadership departed at that point (lead engineers, lead producer, etc). In an effort to salvage the massive effort invested, a couple of remaining engineers went rogue while VP Howard Marks was away at a tradeshow for a week - without permission, they attempted to convert the game to protected mode. This would theoretically provide access to enough memory to render a full set of mechs, but it had been deemed impossible in anything less than nine months - way more time than was available. As of 9pm the night before Howard returned, they were ready to concede defeat: protected mode conversion requires extensive Intel assembly language programming, something they had no experience with - and there was no internet to use as a reference, they just had a single Intel tech manual. They thought they had done the right things, but there was no telling how many bugs remained before the game loop would run. Howard's arrival would spell the end of their effort, since his priority was to ship something, even if massive compromise in scope was required. Against all odds, that midnight the game successfully looped in protected mode for the first time, and they were rewarded with a full set of mechs rendering - albeit in wireframe and without sound. They were elated to have cracked the hardest problem, opening up the possibility to build a better game. Howard returned, recognized the potential that had been unlocked, and helped set the team up for success by bringing in proven problem solvers from Pitfall: The Mayan Adventure. John Spinale and Sean Vesce stepped in, to build a new team on the skeleton that remained, and to establish a vision for a product that to that point was nothing more than a bare bones tech demo. I’ve hear similar stories from numerous hit games: teams investing a measure of passion, heroic leadership protecting the team and visionary executives bucking convention and gambling on a vision. These seem like valuable attributes to grow. This is what “people over process” is about .